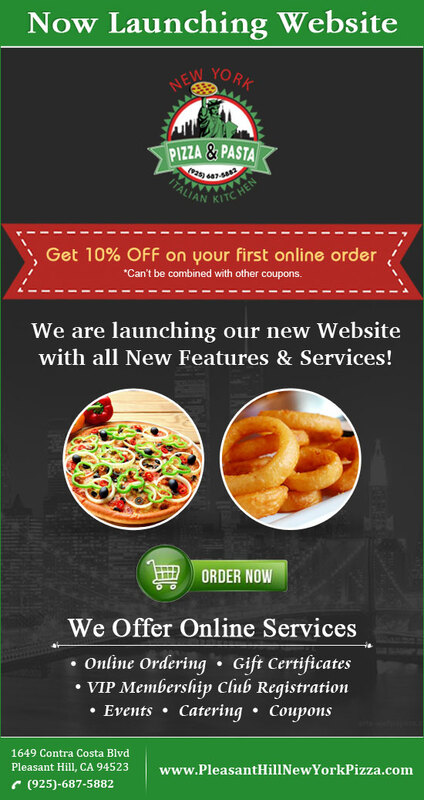 New York Pizza & Pasta is now hiring for Assistant Kitchen Manager/Line of Cook. Come be apart of a rapid growing organization while make GREAT MONEY!!!!!!!! Full time and part-time positions available. Right now we are looking for qualified applicants to staff our Pleasant hill location. We're growing so fast it's hard to keep up, and that means we have lots of ways for you to grow, perhaps to management, perhaps beyond. All you need is a great can do attitude, high energy, and excellent customer rapport! We'll provide the rest. If you can't wait to be a part of this, go to http://www.pleasanthillnewyorkpizza.com/Careers.aspx and apply or call us at 925-687-5882. 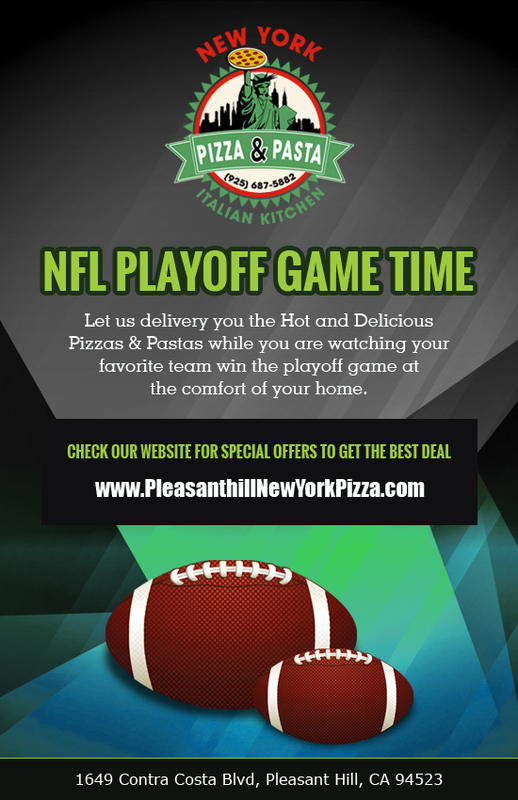 Special Offers & Deals on NFL PLAYOFF GAME TIME @ New York Pizza Pasta ! !